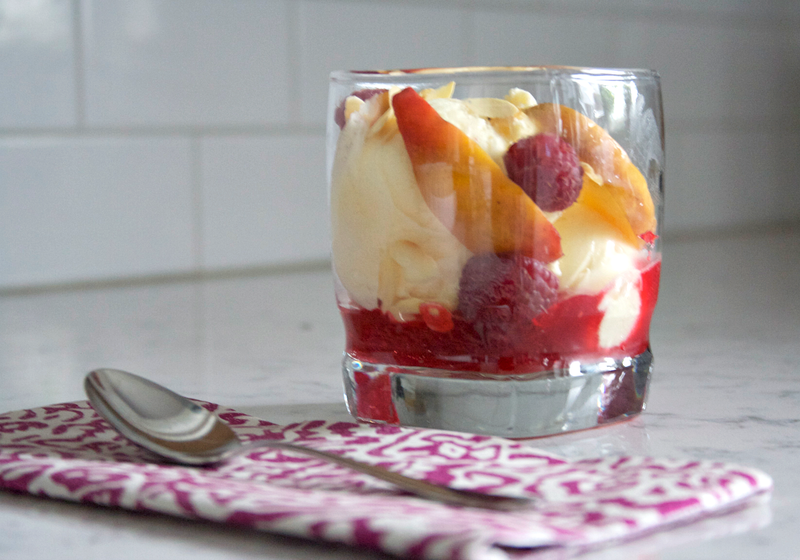 Make CL Grilled Peach Melba Sundae tonight. Done? Awesome. I promise, you won't regret it. 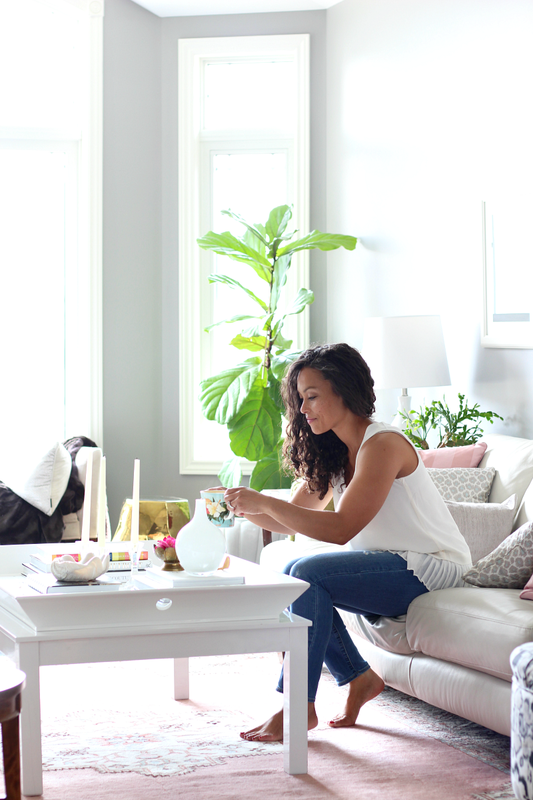 With that, it's time for me to share my thoughts on the Canadian Living July Cover Recipe. Though you've probably already guessed that I loved it. This fruit topped sundae pretty much had me using my finger to wipe the bowl clean. I mean seriously! What on earth?! But it was so good, just so delicious. I can assure you that the raspberry sundae sauce will be made again and why on earth have I never toasted almond slices before? 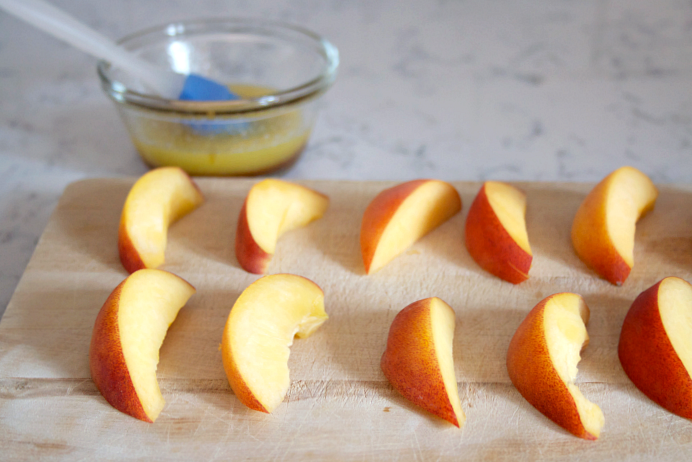 They were the perfect crunchy touch to this sweet and tasty dessert. Right?! It's okay, I'm drooling too! The recipe was super simple and easy to follow. Though I did miss the "peeled" part of the instructions when it came to the peaches. Oops. I chose to make the sundae sauce ahead of time, which is aok, just keep it in the fridge and it lasts for up to a week. The sauce was really simple to make. 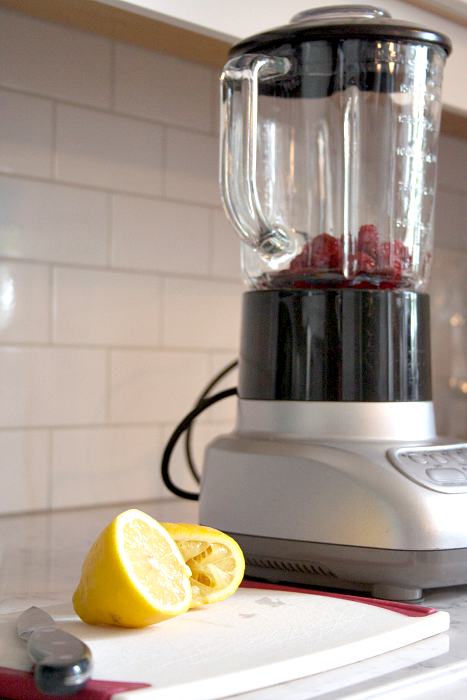 Some raspberries, lemon juice, sugar and water do the trick. 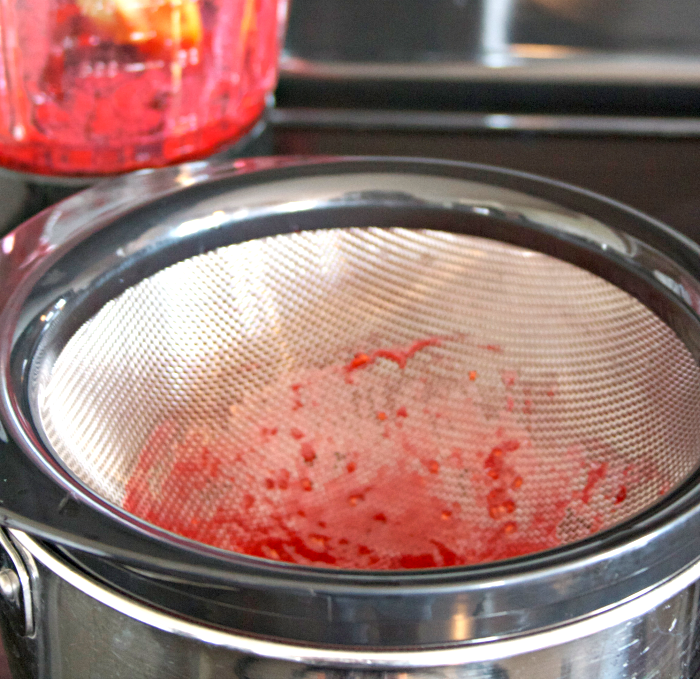 You then strain the mixture and discard the seeds with the help of a sieve. Warm the blended mixture up, add some cornstarch and water, heat that up until it's a thick consistency and refrigerate until cool or until you need to use it. 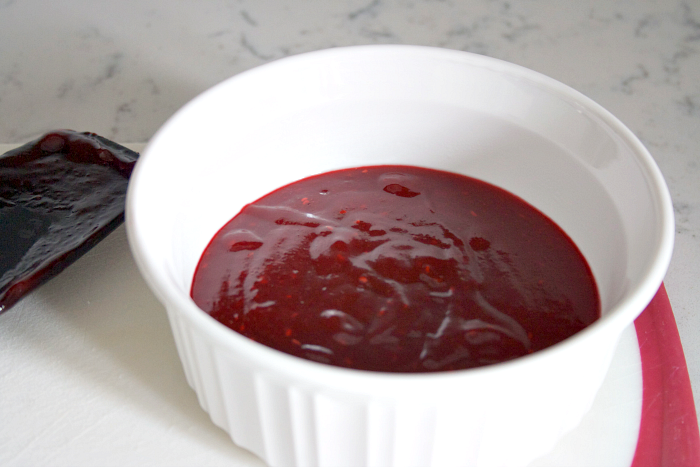 I'd never made sundae sauce before and quite honestly, I probably wouldn't have chosen to make raspberry sauce for my first sundae-sauce-making adventure, but I was truly blown away by how absolutely delicious it was! 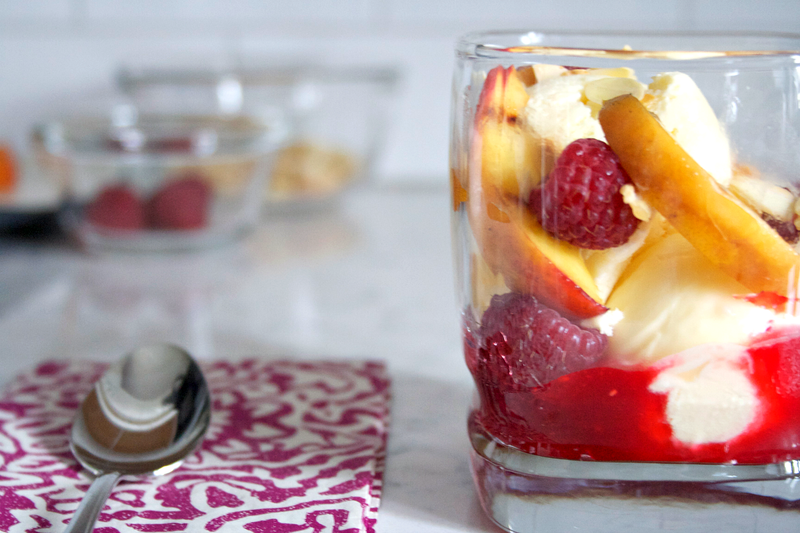 The ingredients just went together so perfectly, resulting in a scrumptious sundae topping. 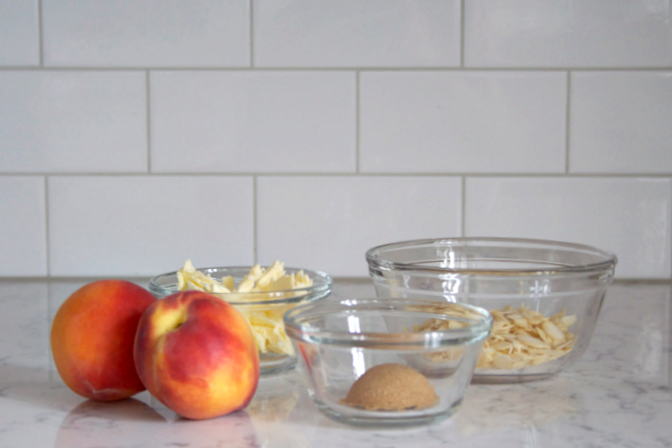 The steps for making the grilled peaches were pretty straight forward, even though I totally missed the peel-them-before-you-grill-them part. 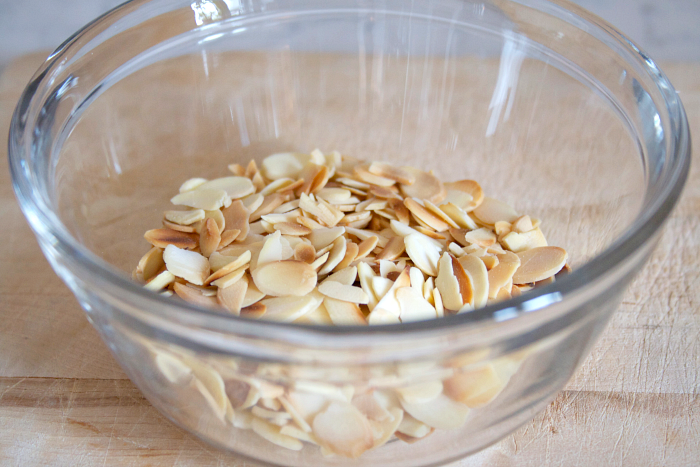 I threw the sliced almonds in a pan to toast them, so yummy! 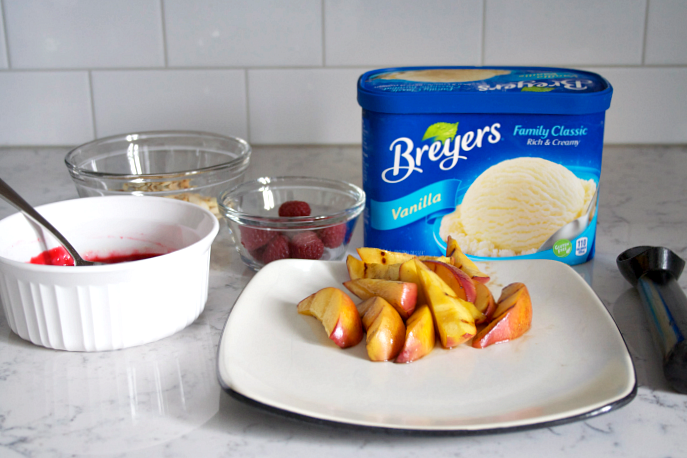 Once the peaches have been grilled and the raspberry sauce has been chilled, you can then throw your sundaes together! 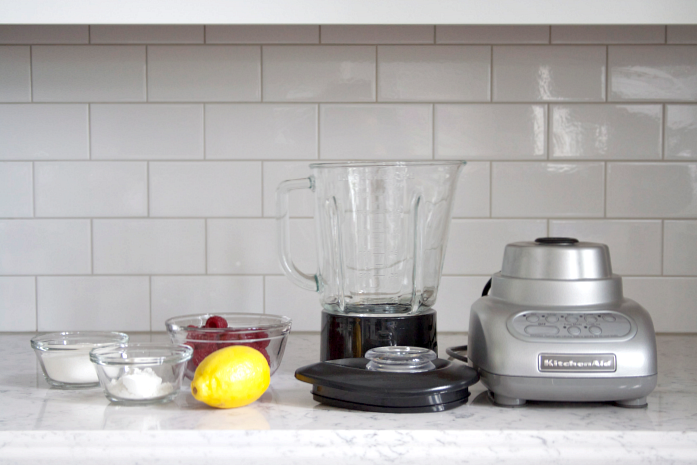 The end result is a taste-bud approved summer dessert. 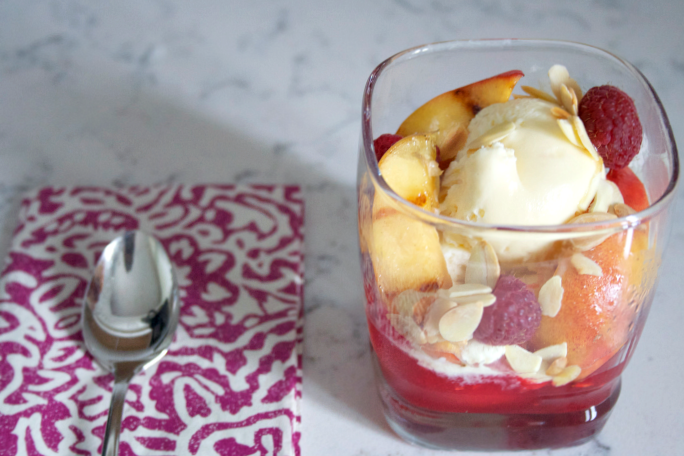 I spent the next three days enjoying the leftover raspberry sauce over vanilla ice cream with some toasted almonds. How could there be leftovers if it was so good you ask? Well, it's because I didn't tell anyone that there were leftovers because I didn't want to share! ha! 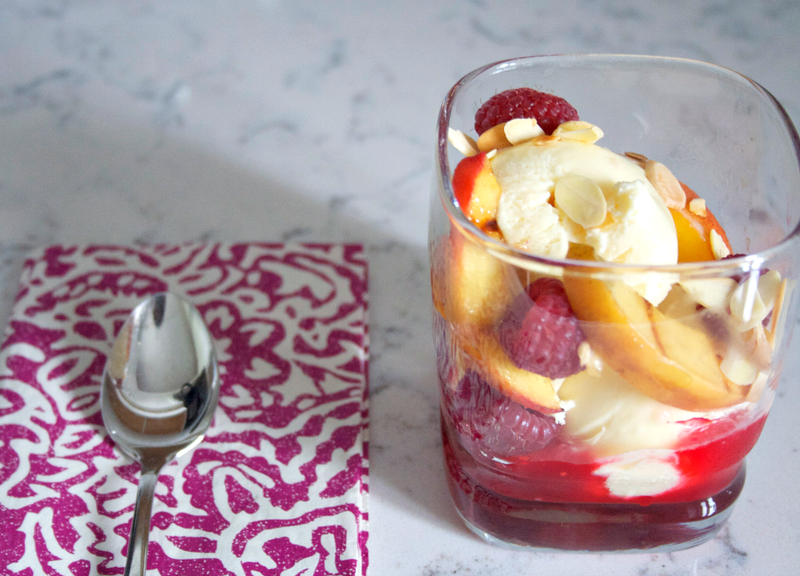 I still can't get over how fantastic it tasted and can think of a million and one occasions that this summer dessert would be perfect to make. It's even the perfect colours for a Canada Day treat! 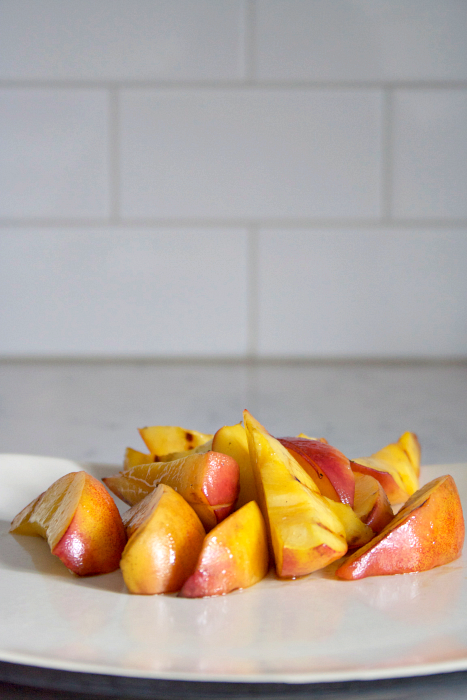 Next time I would of course peel the peaches, but I would also grill them for a while longer. Otherwise, I wouldn't change a thing! You can find this scrumptious recipe here and read what other bloggers thought about it here!